Žuljana is located in the large bay on the southern coast of Peljesac, connected to the mainland by coastal road via Ston. One of the largest pebble beaches on the Adriatic lies in the bay of Zuljana, while the neighbouring bay of Vucine is a favourite destination for sports fishing. Zuljana, known for its seaside architecture and is a splendid place for a tranquil family holiday. Local attractions include Sv. Martin Baroque church built on the foundations of a medieval church and Sv. Nikola chapel from 1630 as well as ruins of Roman graves. Neighbouring places are Janjina and Trstenik . Nearest wine centres are in Potomje and Pijavicno while nearest tourist destinations are Ston, Orebic and Trpanj. 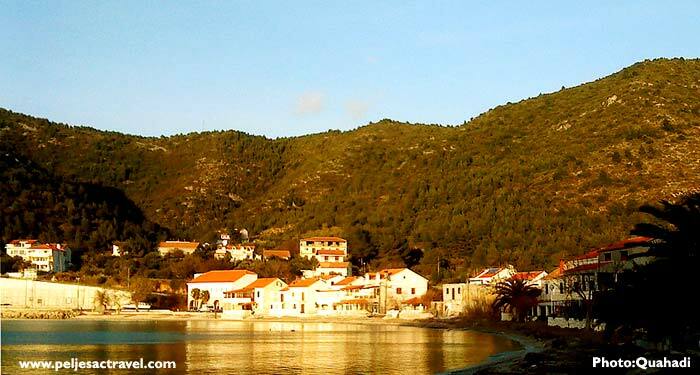 Zuljana is located in the southern part of the peninsula of Peljesac in a beautiful sandy bay facing west. This oasis of tranquillity and beauty. The village was mentioned in written documents dating from the 12th century, and the name is of Roman origin named after the church Sv.Julijana. Except Sv.Julijana there are also churches of St. Nicholas, Our Lady of the Seven Sorrows and Sv.Martin, who is the patron of the village, celebrated in November with traditional wine. The village has just over 200 permanent occupants, mostly engaged in olive growing, fishing and wine production as well as cultivation of mussels and oysters. The village is among the best known in the southern Adriatic for its beautiful and numerous pebble beaches, which are particularly suitable for children because they are shallow and clean. In the village there is a post office, small shop, restaurant, cafe, night bar, several small camp-sites, two diving centres and plenty of private rooms and apartments to choose from. Getting to Zuljana: from Ston – 24 km by Peninsula’s main road from Ston to Orebic. From ferry in Trpanj – 35 km along the island’s main road Trpanj- Ston to Popova luka where the road branches off for Zuljana.